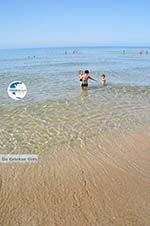 Glyfada (Glifada). 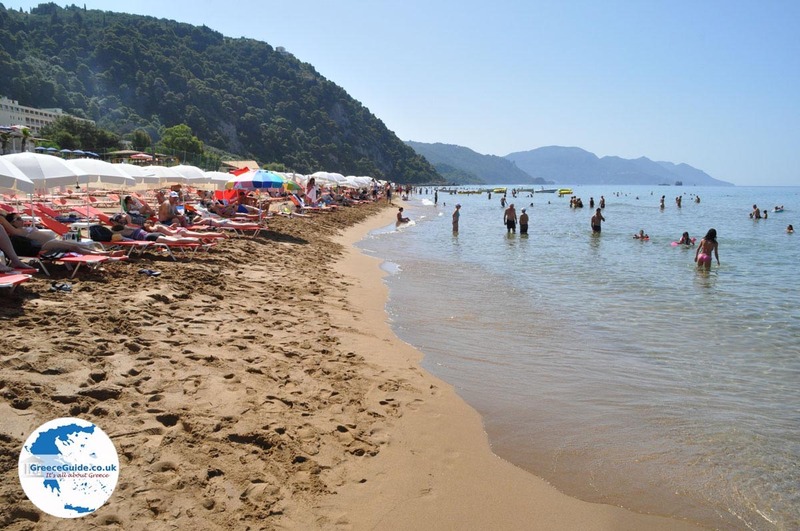 Glifada is one of the most popular beaches in Corfu. 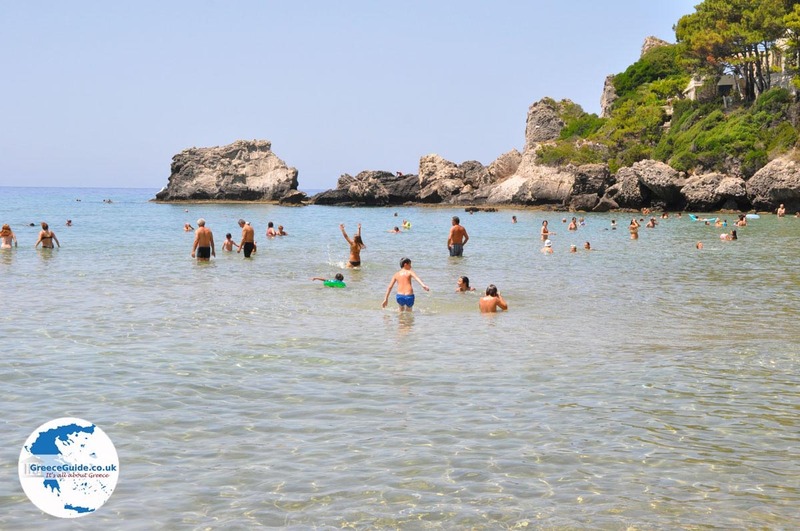 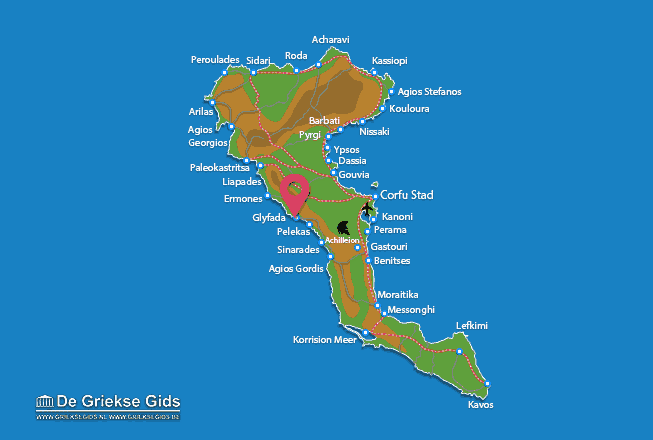 It lies in the west of the island, 18 kilometres from Corfu Town. 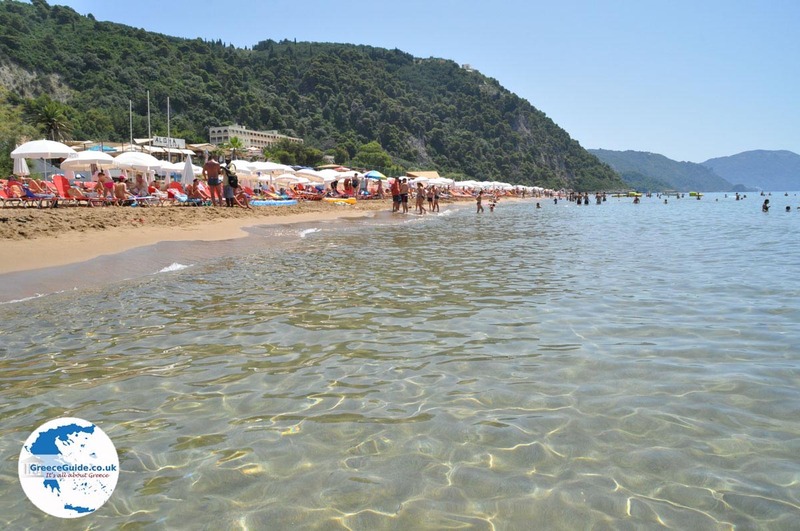 This seaside resort is very popular among Greeks, it consists of a beautiful sandy beach beside hotels, tavernas and restaurants. 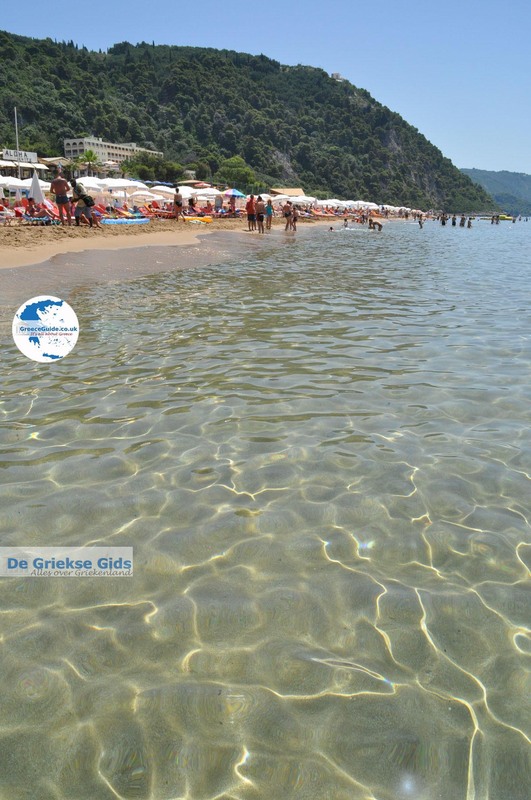 During the day it is very busy with day trippers who leave in the evening. 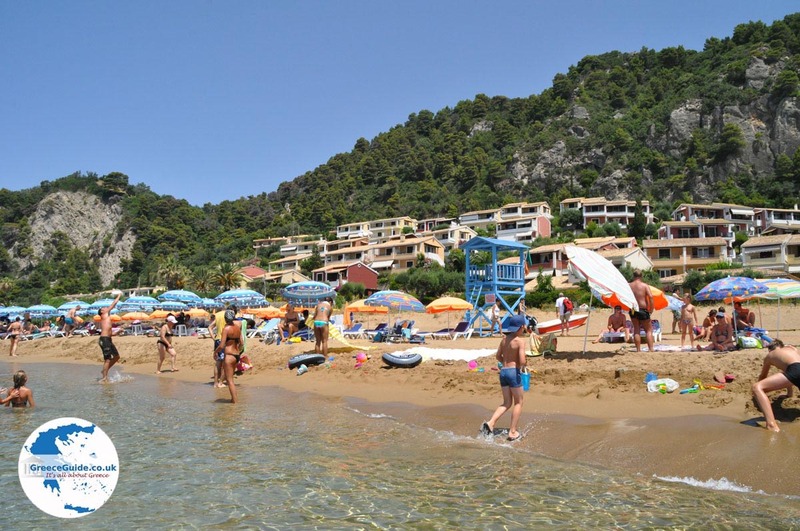 The beach is idyllic, it lies in the middle of beautiful green surroundings. 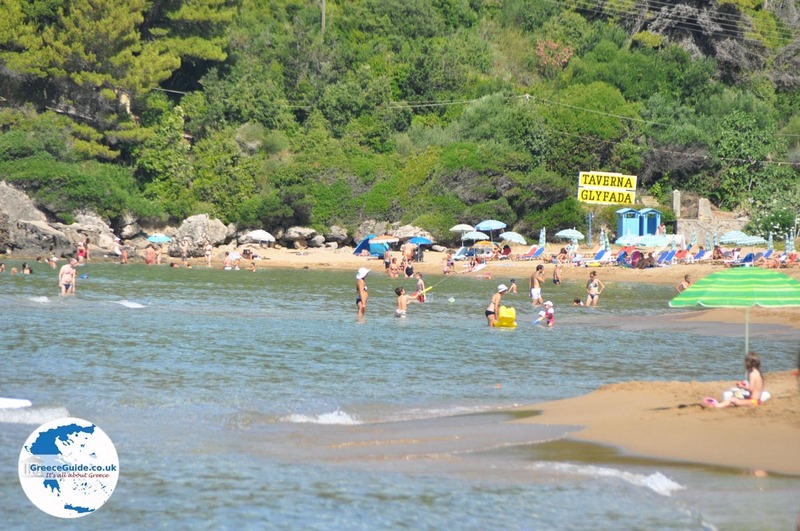 The mountains around the beach are covered by beautiful pine trees. 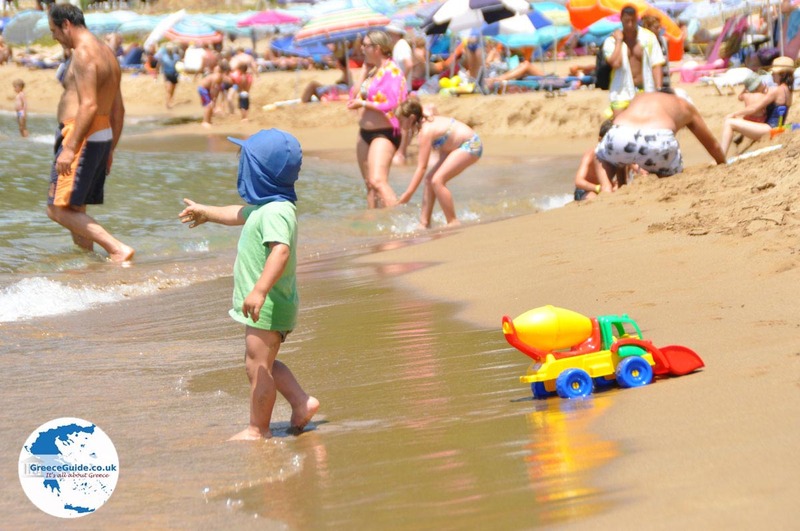 On the beach of Glifada, you can practice all kinds of water sports like water biking or canoeing. 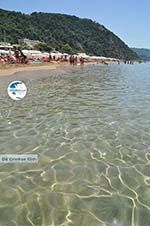 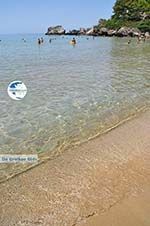 If you like going out: at this place is one of most famous beach bars of Corfu; "Aloha"
Corfu: Where on the map is Glifada located?